A colourful and quality set of 3 Percussions. 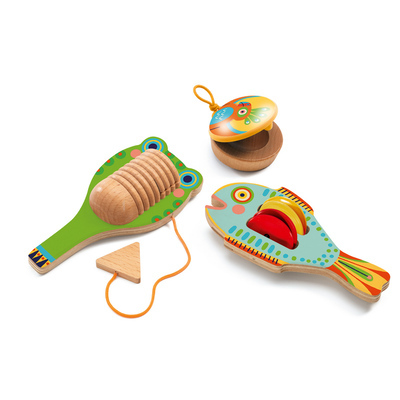 The set features an adorable fish shaped Cymbal, bird Castanet and a bright frog Guiro. 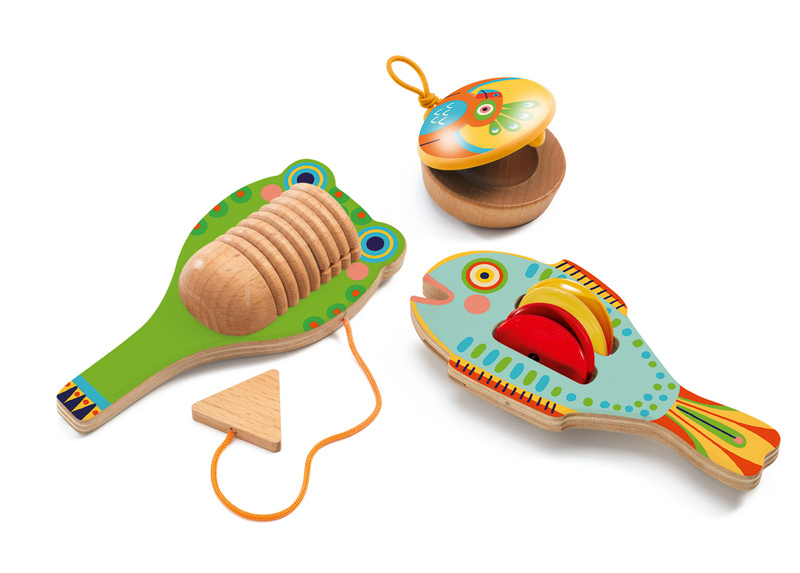 Makes a wonderful gift to introduce children to a world of music.